Adventist Mission | Banned from Church! The traditional Mongolian home is known as a “ger,” better known in the West by the Russian term “yurt.” The ger is a tent-like structure made of a wooden frame covered with felt; the materials are very lightweight so that they are easily transported. Mongolia is known as the “Land of the Horsemen” and horses outnumber people in Mongolia. Horses are used for transportation and also for milk and meat. Among Mongolians aged 15 and above, 53 percent are Buddhists, while 39 percent are non-religious. Christians make up only 2.1 percent of the population. Soyloo’s friends told her about the crafts that they made in Sabbath School, and she wanted to make some crafts, too. Sabbath School was fun! But the sermon was another story. But Soyloo kept coming back to church because she loved Sabbath School. Then she learned that the church had a Pathfinder club that met for fun afternoon activities after the sermon. She learned to play the guitar in the Pathfinders club. One Sabbath, Soyloo returned home after a Pathfinders meeting and found that her older brother was very angry. “From this moment, you are not allowed to go to church anymore,” he said. Her brother was 23 years old, and he had heard a false report that the church members were giving drugs to children. Soyloo insisted that nobody at church had drugs, but her brother didn’t believe her. Soyloo had to obey her brother’s command not to go to church. Her father had died when she was small, so her brother was in charge of the family. Soyloo cried the rest of the day. She also prayed to God for help. The next day, her brother called her over. “Do you really want to go to church?” he said. Soyloo no longer thinks that the sermon is boring or wants to sleep in church. She likes to learn about God, so the sermons are interesting. Soyloo doesn’t have to pray for God’s help to go to church anymore. But she still prays every day. She prays for God to increase her faith. She prays to know God better. And she prays for her mother, brother, and the rest of her family to become Christians. 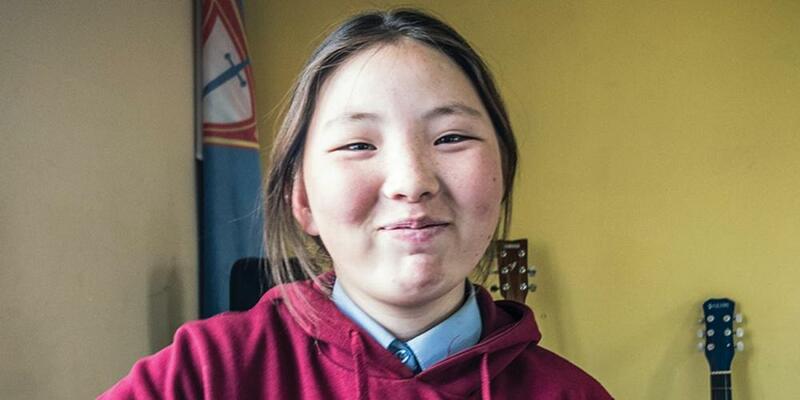 Your mission offering helps churches in Mongolia share Jesus with people like Soyloo and her family. Let’s pray for Soyloo’s family and for Soyloo, too, after we collect the mission offering.